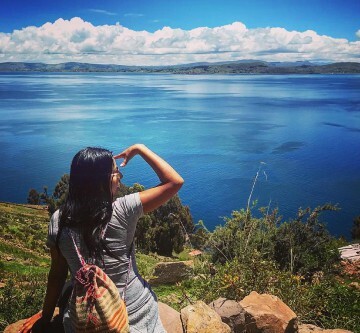 Covering an area of over 8,300 km², Lake Titicaca consist of 3 islands, home to communities and their cultures, which date to pre-Columbian times. Fully immerse yourself into these islands and discover the traditions and every day routine through the eyes of a local. 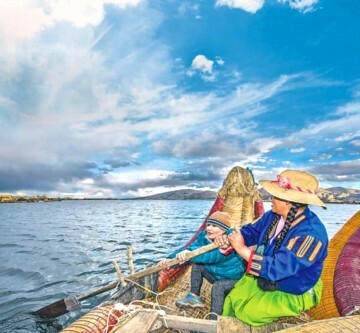 The Uros floating Islands are the main attraction of Lake Titicaca. These are man made islands that people have lived on for centuries! Sounds crazy right? This ancient traditional method of living has caused tourists from all over the world coming to see how this peculiar but amazing community works. The whole island is made out of a reed called the totora plant which is found in abundance along the outskirts of the lake. Homes, boats and furniture are all made from this plant along with the base of the island needing to be constantly maintained. The plant is also used for medicinal purposes and tea! 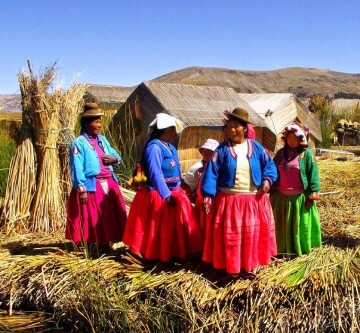 The Uros Islands have become hugely popular with tourists. Everyday people come from all over the world and learn about the traditions and customs of the famous floating islands. 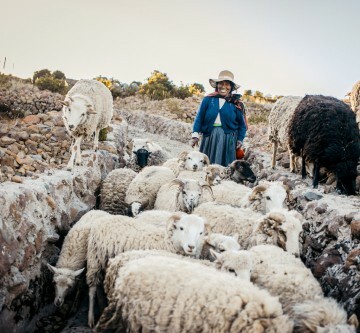 On the island you can help the locals collect reeds, fish on Lake Titicaca, learn how the people prepare meals and cook, there are even opportunities to stay the night. The Uros floating Islands are not to be missed on your Peruvian travels. 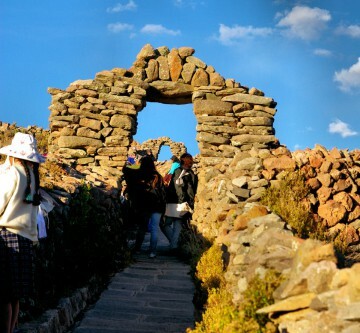 Amantani Island has also kept to its traditional roots with the culture on this island not affected by Lake Titicaca’s popularity. If you are looking for a homestay and to experience the traditional lake lifestyle, Amantani is a perfect option for you. 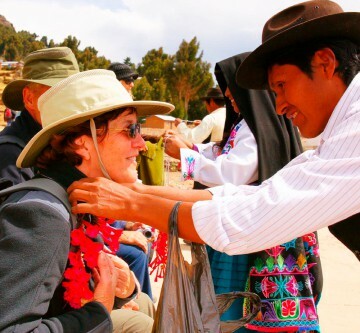 Just like Taquile Island, all 3,600 Amantani locals work together to cater for today’s tourism. When you arrive on the island, you’re assigned to a family that will bring you to their small home, all which are different shapes and sizes. Your host family will provide you with simple, traditional meals. All the food is made with locally available produce such as potatoes, quinoa, eggs and perhaps lake trout. It is a good idea to bring gifts for the family who you will be staying with. Items like fruit, cooking oil, rice or sugar all go a very long way as they are hard to obtain on the island. This is in no means a requirement but would be greatly appreciated by the families! The family you stay with can organise guided hikes for you around the scenic island. Pachatata (Father Earth) and Pachamama (Mother Earth) are the two mountains on the island which make for a great climb. 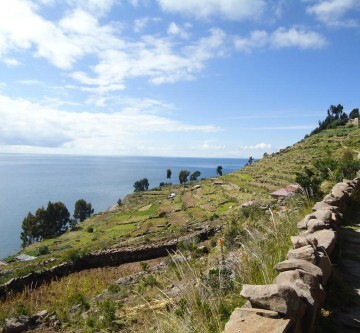 Surrounded by incredible farms and the beautiful lake Lake Titicaca. You will never forget the views on this from the top. 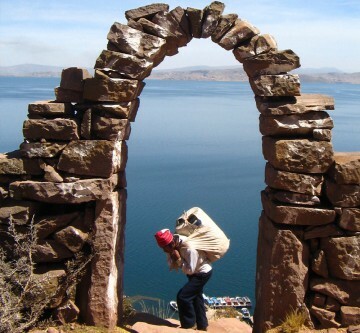 A remote island on the Peruvian side of Lake Titicaca lies the truly unique Taquile Island. This amazing community have continued to live by their traditional lifestyle without modernization or any interruption from the outside world. 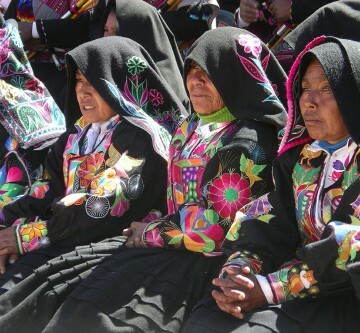 The population of just 2,200 people still speak the ancient language of Puno Quechua and maintain the living culture adopted from their ancestors which has lasted generations. If you want to stay overnight on Taquile Island, you must stay with a local family. Local families will open their doors to all tourists and show you how the traditional family dynamics work. You will see the roles each family member plays on a day to day basis, learn about their culture and eat delicious meals with them. 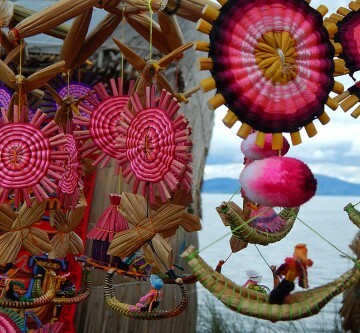 The island is most famous for the handwoven textiles and clothing they produce. This handcraft goes against other traditions as it is actually performed by the men on the island, a skill which they learn from as young as eight years old. They produce some of the best handmade items in the whole of Peru, including the famous ‘chuyo hat’. Truly an amazing place, the whole island works as a community to manage tourism incomings and outgoings. 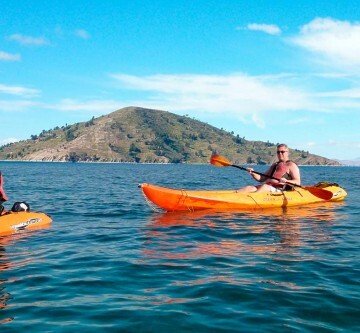 There are opportunities to take boat rides, explore the unique landscape, relax and enjoy unforgettable sunsets over Lake Titicaca. With most tourists going to Amantani Island, here is where you will find a true authentic experience if that is what you are looking for! 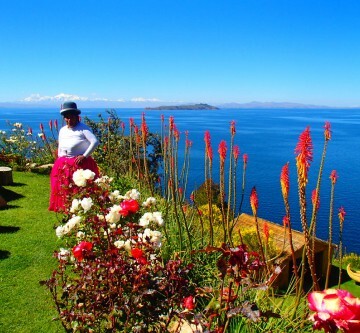 If you truly want to discover any of these islands, check out our tours of Lake Titicaca. Learn about the history of the island/islands and experience first-hand the daily life, culture and traditions of the locals in a half day tour, full day tour or 2-day homestay!